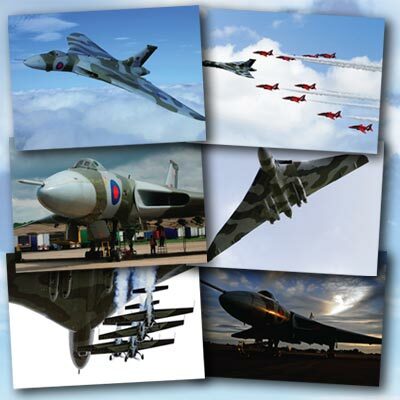 A collection of six stunning images of XH558, reproduced on heavy artcard stock with a gloss finish. Ideal for framing in your choice of frame from a wide variety of available sources. A real easy and cheap way to build up a lovely looking collection. The reverse of the cards have a full XH558 history feature, making them ideal as gifts for onward promotion of our project.